Casilando casino was launched in 2017 by a group that has experience with online casinos, and it offers NetEnt, Microgaming and many other slots plus a nice welcome package with free spins. Casilando is a new and modern casino launched in early 2017. Read our Casilando review to find out more about this casino and the welcome bonus code and free spins we’ve prepared for you. In short, Casilando is a quality product that offers 500+ slots, quality customer service, and reliability. 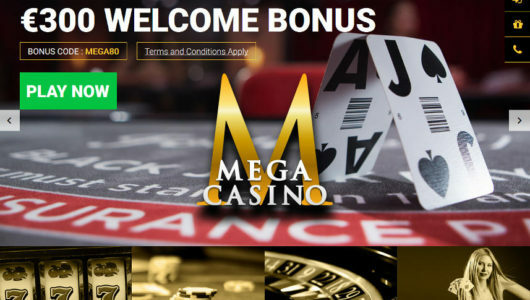 Visit their website to see for yourself, the design of the casino is fun and engaging, and it’s the right place for all NetEnt, Microgaming and Quickspin fans. Casilando partnered up with GamblersFever to bring you an exclusive bonus that will give you 50 free spins just to register! No deposit necessary. If, however, you choose to make a deposit Casilando and GamblersFever will give you a 150% bonus up to €150. That means you deposit €100 and play for €250! 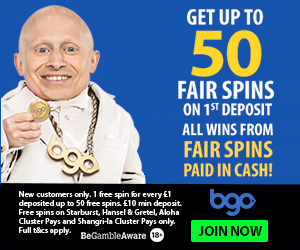 On top of that we’ll also give you 50 more free spins. Registration is quick and easy, and later you can deposit easily with your Visa or Mastercard. While Skrill and Neteller are also listed as deposit options, you can’t get a deposit bonus if you use them for your first deposit. You can deposit by card, by bank, Paysafecard, or any other of the deposit options but Skrill and Neteller are a no. Casilando have a loyalty points scheme, and points can be redeemed for cash. This is it, there is no VIP treatment or some VIP levels, just the points scheme. There are no reload bonuses either, so basically the only bonus you’ll get is the welcome bonus, and after that you’ll play at Casilando because you feel comfortable there, and not because of some retaining offer because there are none. NetEnt and Microgaming are the main provider of games at Casilando, and Evolution Gaming powers the live casino so Casilando did things right. There are also slots by Quickspin, Thunderkick, Blueprint Gaming, ELK Studios, Aristocrat and many others for a total of over 500 games! We can only complain that there are too many games so you’re spoiled for choice! All the main titles are here: Gonzo’s Quest, Starburst, Candy Dreams, Copy Cats, Flame Busters, Ted, Game of Thrones, Thunderstruck II, Immortal Romance, NRVNA, Steamtower, Jack and the Beanstalk, Wonky Wabbits, Dead or Alive, Fortune Girl, Flash, Wonder Woman and many others. Since the casino is so new it’s impossible to say it has a history of reliability. However, the company running the casino does, and this is a provably fair casino that pays. But you can tell right away it’s a product designed for quality. Visit Casilando and see for yourself. Casilando is a serious online casino licenced by UKGC, and it offers outstanding customer support to its players. Live chat is available from Monday to Sunday, from 10:00 to 02:00 (CET), and if live chat is offline you can email them with your question. Casilando has a United Kingdom Gambling Commission licence and a Curacao licence to fall back on, so the list of restricted countries is predictable. USA players can’t play, and the usual countries such as Turkey, France and Russia are blacklisted as well. Casilando cannot open accounts, or process bets or financial transactions, for individuals residing in: Afghanistan, Algeria, American Samoa, Angola, Austria, Belgium, Bolivia, Bulgaria, Cuba, Denmark, Ecuador, Ethiopia, France, Ghana, Guam, Guyana, Hungary, Indonesia, Iran, Iraq, Israel, Italy, Kenya, Lao Peoples Democratic Republic, Latvia, Malta, Myanmar, Nigeria, North Korea, Northern Mariana Islands, Pakistan, Panama, Papua New Guinea, Poland, Romania, Russia, Sao Tome and Principe, Singapore, Slovenia, Spain, Sri Lanka, Sudan, Syria, Tanzania, Thailand, Turkey, Uganda, United States, United States Minor Outlying Islands, Vietnam, Virgin Islands (U.S.), Yemen, Zimbabwe. 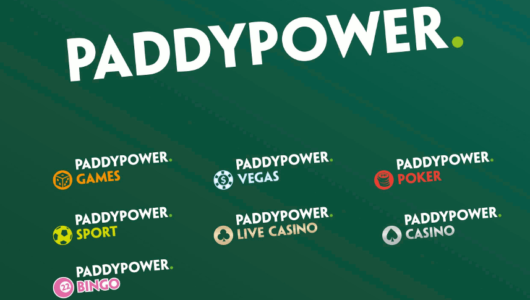 Citizens of following countries are allowed to play but are not eligible to play progressive jackpot games, and any winnings of any of the Jackpots will be voided: Australia, Azerbaijan, China, India, Japan, Malaysia, Qatar, Russia, Tunisia and Ukraine. Definitely a welcome newcomer in the online casino world, Casilando is a casino ran by a reputable company, and it offers all the main slot games (Playtech, Betsoft and RTG titles excluded) with a very nice welcome bonus / free spins package. The design of the casino is exciting, players are well taken care of, so Casilando does everything right. 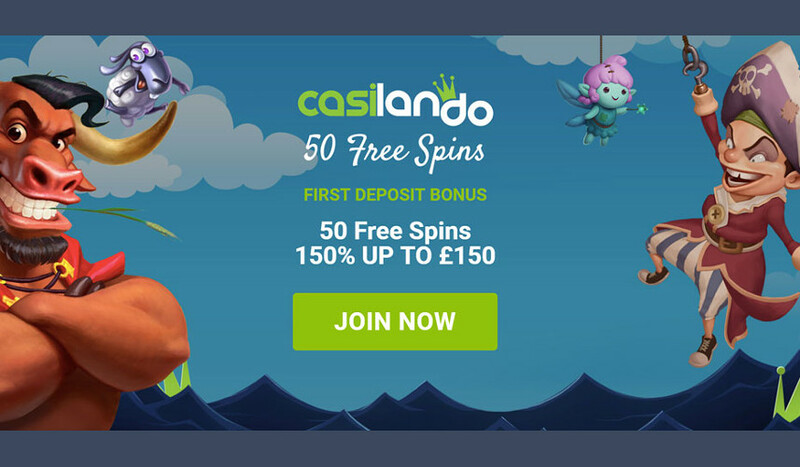 Register today to try Casilando out, and get 50 free spins immediately!